Hong Kong is once more home to a local branch of the international PEN organisation for writers, writes Vaudine England. Such was the allure of Monroe that her fame had spread far and wide. It even spread to Nigeria’s head of state, General Yakubu Gowon, during the civil war over Biafran secession back in the late 1960s. This matters because the general had decided a local playwright, the then unknown Wole Soyinka, should be executed. The international group for poets, authors, essayists, editors (and even journalists), PEN, was then led by another playwright, the somewhat better-known Arthur Miller. As PEN president, Miller wrote a letter to Gowon which a friendly businessman delivered directly. The general’s key question was: is this the Arthur Miller who married Marilyn Monroe? On being assured that indeed he was, Gowon did as suggested by Marilyn’s man, and let his prisoner go. Wole Soyinka went on to become one of the world’s most eminent poets and playwrights, winning the Nobel Prize for Literature in 1986. Now whether this was all due to Marilyn remains moot. The point is that PEN, an international writers’ group in existence since 1921, acts to celebrate, promote and extend freedom of expression. It also campaigns directly on behalf of writers endangered by governments, statelessness, imprisonment and other hazards. As we now know in Hong Kong, those hazards include kidnapping, detention and interrogation without charge across the border, and concerted efforts to destroy livelihoods, ideas, and independent thought. It was FCC member Fred Armentrout who was the leading light of the English-speaking PEN, along with Saul Lockhart and others. How apt, then, that the Hong Kong branch of PEN has just been revived after more than a decade of somnolence. The new, bilingual Hong Kong branch of PEN was launched at the FCC on November 13, as part of this year’s Hong Kong International Literary Festival. To be historically accurate, the previous PEN group was called ‘English-speaking PEN’ in Hong Kong. There was also a ‘Chinese PEN’ here which was often bogged down in exactly which China they meant. “The English-speaking PEN reached its zenith during the period of forced repatriation of Vietnamese boat people. There were writers in the camp and we were very active in getting about a half-dozen of them refugee status, as was the FCC in at least one case (Saul Lockhart led the charge there),” wrote Fred Armentrout, when we asked for his sage advice. It was FCC member Fred Armentrout who was the leading light of the English-speaking PEN, along with Saul Lockhart and others. 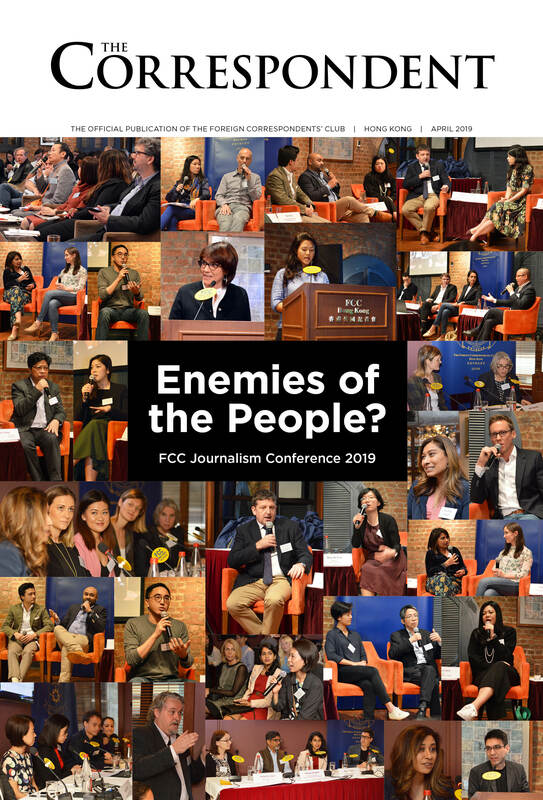 Now chaired by Jason Ng, several more FCC members have helped to found the new group — Steve Vines, Vaudine England, Ilaria Maria Sala, Kate Whitehead, Cathy Holcombe… the list of names continues. However, as the Marilyn story shows, this is not just another press freedom group. PEN focuses on a broader definition of freedom of expression; it has UN recognition, and a roll-call of past presidents from Vaclav Havel to Margaret Attwood. People PEN has tried to help include writers as varied as Salman Rushdie, Ken Saro-Wiwa, Anna Politkovskaya and Hrant Dink. PEN originally stood for Poets, Essayists and Novelists, and then grew to include playwrights, editors, publishers, academics and, importantly for us, translators. Our new Hong Kong group includes all of the above. It is multi-racial and bilingual, Hong Kong-based, but of course alert to how the politics around us affect freedom of creative expression here. It’s hard not to be increasingly alarmed by this environment in which self-censorship has become the norm and newspaper editors are chopped by machetes. It is now acceptable in some circles to submit to career-defining constrictions on our intellectual life. “The Chinese government has for many years perceived Hong Kong independent publishing as ‘politically harmful’. It has strategically targeted Hong Kong publications and implemented ‘strike campaigns’, renewed annually. The Causeway Bay Book Store incident was just one highly visible episode in the ongoing campaign,” notes PEN Hong Kong founding member, Bao Pu, of the independent publishers, New Century. “This long-running campaign has demonstrated its effectiveness after so many years. The sales of books about mainland politics has dropped, and the case of the Causeway Bay Book Store has sufficiently deterred not only mainland buyers and Hong Kong book stores, but even many in Hong Kong’s printing industry from books on politically sensitive topics on mainland China or Hong Kong,” he said. It is the politics around us that now stops some publishers from publishing, some book shops from selling, some printers from printing, and thus all of us from reading a full range of literature. This cuts directly at our ability to have fun with new ideas – and yes, we have a sub-group in our new PEN which is firmly focused on rediscovering that sense of fun. Marilyn Monroe, then PEN leader Arthur Miller’s wife, had a role to play in saving the life of a future Nobel Prize for Literature winner. So it was with PEN when it was founded in London in 1921. It had begun as a dining club for poets and authors who felt discombobulated after World War One. The Charter of PEN which stands firm to this day, was then forged in the dark atmosphere of threats, persecution and mass murder of World War Two. By 1939, PEN member centres included Argentina, Australia, Bolivia, Brazil, Canada, Chile, Colombia, Egypt, India, Iraq, Japan, Mexico, New Zealand, Palestine, Uruguay, the US and others. All the Scandinavian countries were accounted for in the membership, as well as several countries in Eastern Europe. Basque, Catalan and Yiddish centres were represented, too. Today the vast majority of PEN International’s 145 centres are outside Europe. For PEN, freedom of expression and literature are inseparable. Indeed, it’s an idea present at the centre of the many cultures of the world, not simply the West. PEN has long been unique in bringing writers together regardless of culture, language or political opinion. Initially, it saw itself as “above” politics. It was the Nazi repression of writers — and the dissent within PEN of such great names as Bertolt Brecht, Alfred Döblin and Robert Musil – that engendered a more nuanced approach. The British novelist HG Wells, who became PEN’s president in 1933 following John Galsworthy’s death, led a campaign against the burning of books by the Nazis in Germany. When the German branch of PEN failed to protest at the book-burning and even tried to stop a Jewish writer from speaking at the PEN Congress, it had to be expelled. It was out of events like these that parts of the PEN charter were written: “Literature knows no frontiers and must remain common currency among people in spite of political or international upheavals. In all circumstances, and particularly in time of war, works of art, the patrimony of humanity at large, should be left untouched by national or political passion.. There are lines in the sand for all of us, no doubt differing from person to person around the bar. In the revived PEN of Hong Kong, we aim to touch up that line with neon lights, with book-readings, literary celebrations and even, yes, the odd campaign. We aim to keep that line shining bright, and you are very welcome to join us.